While she is there in February 2018, Yelavich will be working on the final chapter of her book Thinking Design through Literature (Routledge, 2019). She joins a distinguished group of 32 artists, composers, musicians, performers, writers, and scholars of the humanities and literature, who have made significant contributions to the arts and humanities. 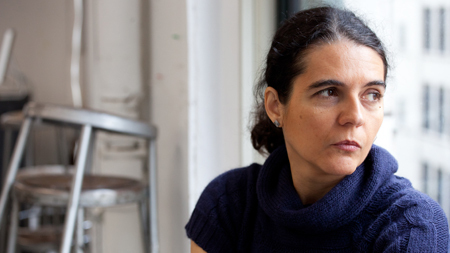 During her absence, Jilly Traganou will serve as Acting Director of the MA Design Studies program. The following posts grew out of a Parsons Design Studies workshop on “Design and Political Agency,” which was inspired by “Stand Up For Democracy,” on September 8th, 2017. Each student read the “Open Letter to the Design Community: Stand up for Democracy” and chose an object that fosters (or deters) people’s power to speak and act in the political sphere. In the particularities of each observed thing, the students identified the potentialities of design to afford a larger form of agency and politics. Adam Ridgeway’s cover design for the online publication of the MA Design Studies journal Plot(s) Issue 3 was recently featured on AIGA Eye on Design. The cover for the journal features graphic elements that are echoed throughout the interior. The reductive visual nature of the book is an intentional stark contrast to the complexity of the content within. This was an attempt to make the content approachable by a wider demographic than those directly in the field. This protest poster by designer Luka Rayski has become the identity of the Polish protest movement over plans to put the supreme court and the rest of the judicial system under the political control of the Polish Parliament. I am proud to say that my colleague and friend Mateusz Halawa, Anthropology PhD candidate at New School for Social Research, has been the driving force behind getting the posters out – coordinating their printing and distribution over the long hours of the past two weeks. 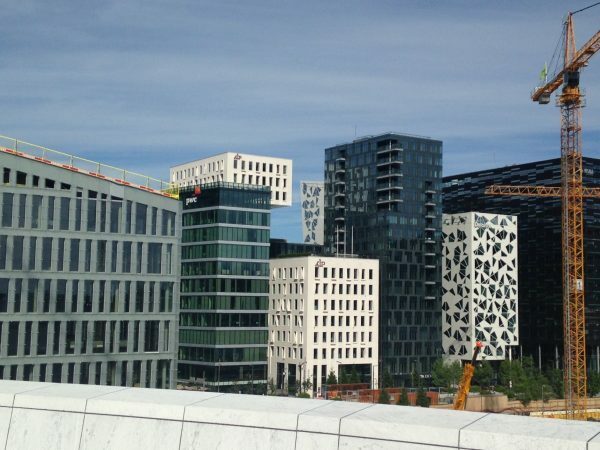 Oslo looks to be a very different kind of city, even for a reasonably well-traveled New Yorker. 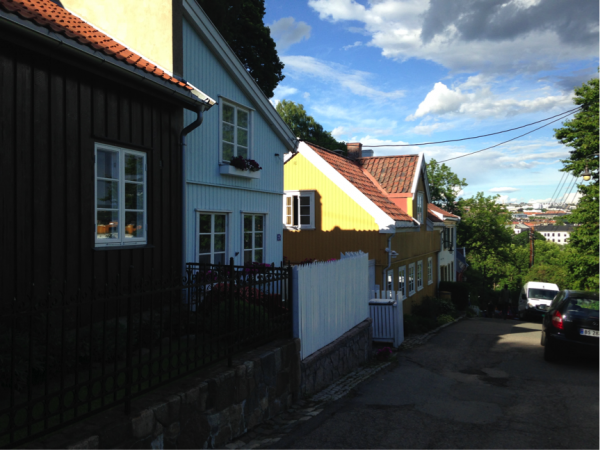 It seems largely residential populated by six to eight-story buildings (many in a restrained, neoclassical style others in Scandinavian cottage form) in pinks, blues, yellows, reds, and white, framed with trees and parks of the deepest green. Yes, there is all the new construction on the harbor, which speaks to a more rapacious Norwegian prosperity. But otherwise filthy lucre is hardly in evidence. You don’t see it in people’s dress, which tends toward practical sport-driven garb. There is almost no aggressive advertising outdoors and little in the way of attention-getting shop displays. All in all, a feeling of self-effacement dominates, which makes for an odd kind of assertiveness. However, none of this amounted to calls to return to the Post Modern 1980s when architecture and design withdrew from the social sphere after modernism’s failure to ‘change to world.’ It was rather a recognition that the ambition to ‘change the world’ is ridiculously hubristic if seen as a project of design alone. Well-intentioned design efforts to care for refugees or house the homeless can be tacitly complicit with the political conditions that make them possible. Mahmoud Keshavarz and Jocelyn Bailey, respectively, made the case that designers are often put in the untenable position of perpetuating greater political systems of injustice in their efforts to help. For example, in providing shelters for those the state refuses to care for, designers risk confirming the state’s estimation that these are people unworthy of the resources we ourselves take for granted. In that view, refugee housing could be considered second-class shelters for second-class citizens. Notably, though, there was a scarcity of propositions as to how to contend with design’s relative powerlessness in this difficult present when democracy and other forms of political agency are under threat. 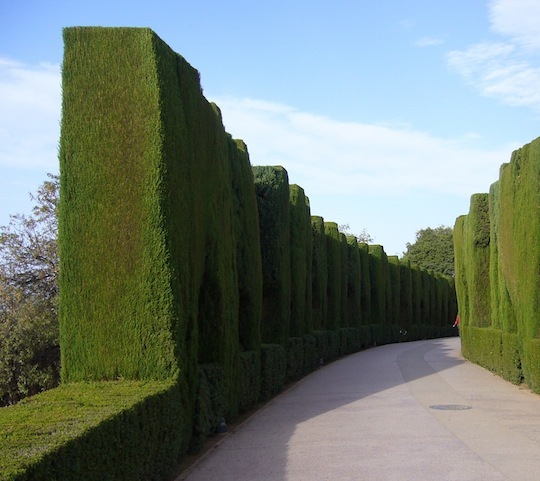 If retreat isn’t ethically tenable, then what is? Here Evan Westfang (whose own work has to do with making public data both public and visceral) offered an interesting response. He called for a return to ‘normative design’ – not design-for-design’s sake, the stuff of international design fairs and the like. The ‘norm’ of design that he referred to is it’s inherent generosity. 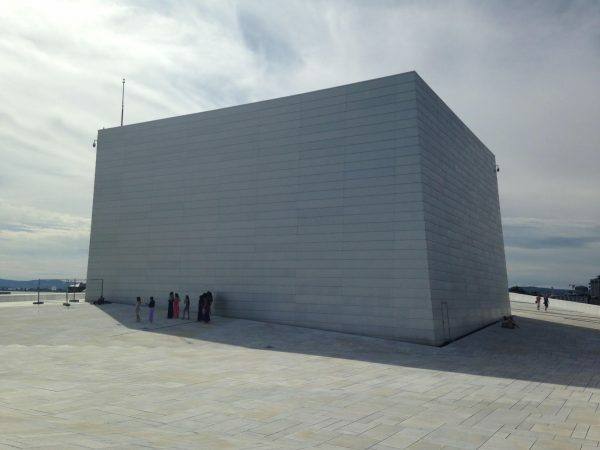 Oslo Opera House, Snøhetta, Wikipedia. 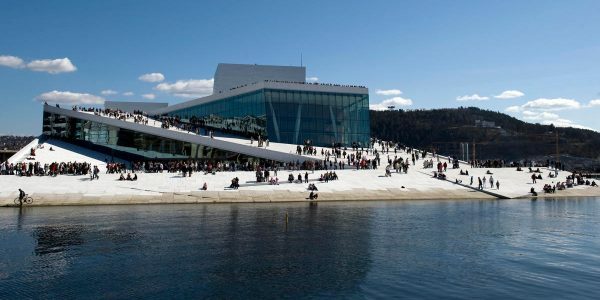 That said, I’m not sure he or anyone else in Oslo would find that generosity where I did during my brief visit, given how skeptical we’ve become of design that is anointed ‘successful.’ I’m referring to my experience of Snøhetta’s Oslo Opera House (2008), which yielded so many unexpected epiphanies—epiphanies, which I suspect are not mine alone. Walking up, on, across, and down its sloping planes, you are never quite sure whether your feet are on the ground or in the air. Now Rancière is actually writing about the conditions in Paris’s poor suburbs where he sees a need for spaces and places that offer the dignity of solitude (not the despair of loneliness) for its residents, the very same people who designers are quick to gather into configurations of participatory design. But I would argue both situations – the collaborative and the solitary – are powerful frameworks for design and, that at its best, design creates conditions to be ‘together and apart.’ Even and especially on the roof of an Opera House, where seeing an opera isn’t required. Aesthetic Regime of Art” taken from an edited transcript of a plenary lecture delivered on 20 June 2006 to the symposium, Aesthetics and Politics: With and Around Jacques Rancière co-organised by Sophie Berrebi and Marie-Aude Baronian at the University of Amsterdam on 20-21 June 2006. Salma Shamel Bakr speaking at the 2017 New School Commencement ceremony. But, what I do know is that you are a forceful lot. Your exhibition in the University Center’s Events Café confirmed that. You are a class fully committed to the possibilities of Design Studies. Put another way, you didn’t hesitate to question the norms of design. You weren’t just dissatisified with the conventional categories of design and the usual ways of designing, you also proposed alternatives and alternative futures. And in doing so, you confirmed the value of Design Studies. 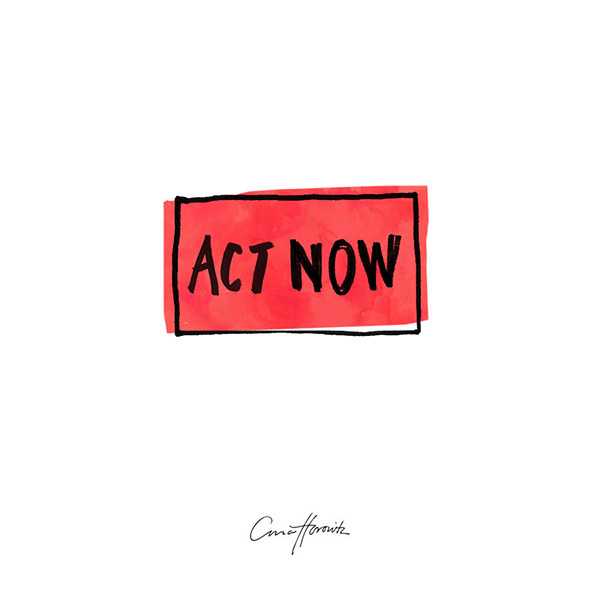 It’s the canary in the coalmine at a time when we need it most: in this very moment, when the environment and civil society are under siege. We may not be the New York Times or the Washington Post, but our questions are no less valuable for that. 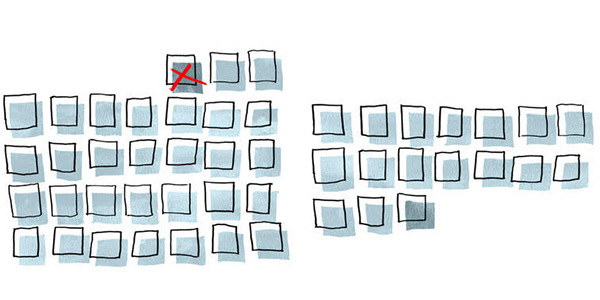 Design Studies looks beyond the immediate present, a present we all hope will pass soon. We need to ask the questions you ask – questions that make us look at design in unexpected ways and in unexpected contexts. Who would have thought that a national archive could be designed to suppress information? 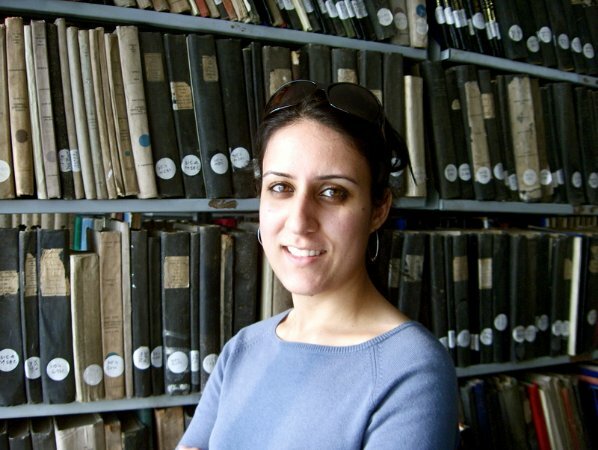 Salma Shamel Bakr’s investigations threw a harsh light on how archival systems and buildings, on how paper and pixels, can be, and have been, designed to deny history. Who would have thought the American desert was an object of design? Fattori Fraser showed us that this most barren of landscapes is especially vulnerable to human interventions — precisely because it’s an environment that thrives of a myth of isolation. But what happens in the desert – think, nuclear testing – doesn’t stay in the desert, no matter what they say. Who would have thought that childbearing was a matter of design? Sandra Gichuhi showed us how the labor of women—and I mean that in every sense of the word—is now built into a complex transnational network of lives and bodies. Who would have thought that we design the lives of animals—including we human animals—in the muck of our barnyards? Shea Mandolesi took the lay of that land and redesigned a farm to promote better health. Who would have thought that a world-famous architect was not completely in control of her work? Qionglu Lei broke through the fiction of the lone maestro, to reveal the wider cast of characters that make up a building, including those who use it. And lastly, speaking of control, who would have thought design was more about erasure than mark, more about reconfiguring than configuring? Leticia Oxley found the essence of designing in prototyping, not in the ever-elusive idea of resolution. She, like all of our students, knows while every work of design addresses a question, it also poses countless others. Keep questioning, stay curious, and stay in touch! Illustration by Anna Horowitz. 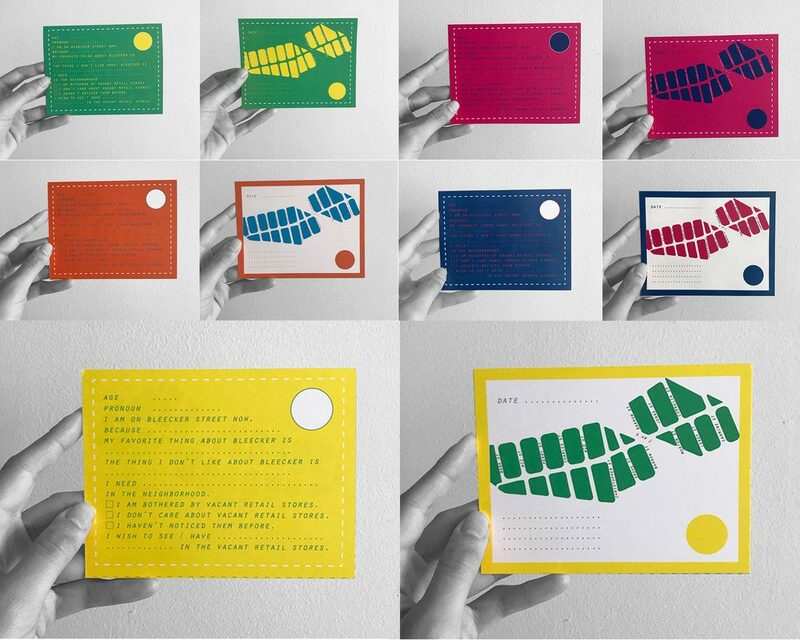 Image courtesy of The Every Day Project. President Trump’s first 100 days are not easily digestible for many MADS students and alumni. 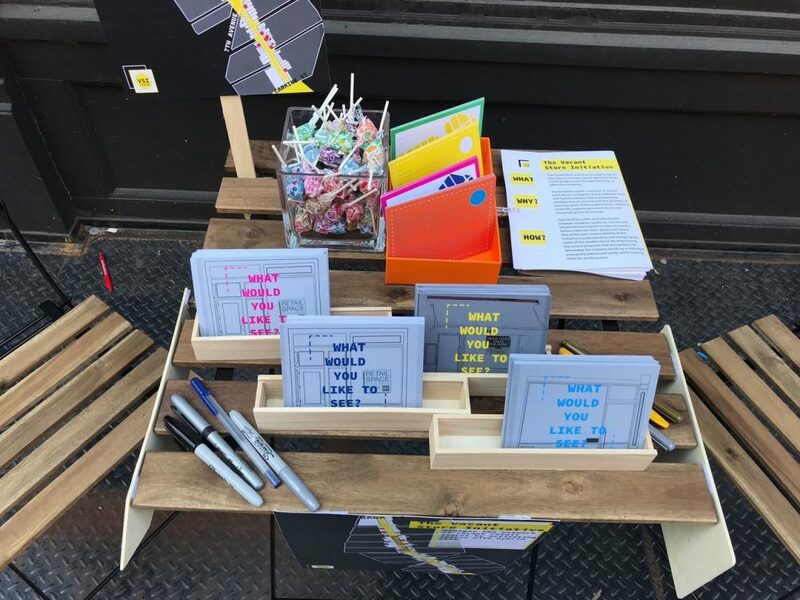 Before Inauguration Day, alumna Mae Wiskin (MA Design Studies, 2016) helped launch The Every Day Project, which aimed to bring achievable everyday acts of activism to subscriber’s inboxes. In light of the current events following January 20, 2017, The Every Day Project has relaunched and renewed its commitment to bringing awareness to the types of initiatives that are crucial to maintain engagement with. Illustration by Anna Horowitz. Image courtesy of Mae Wiskin. 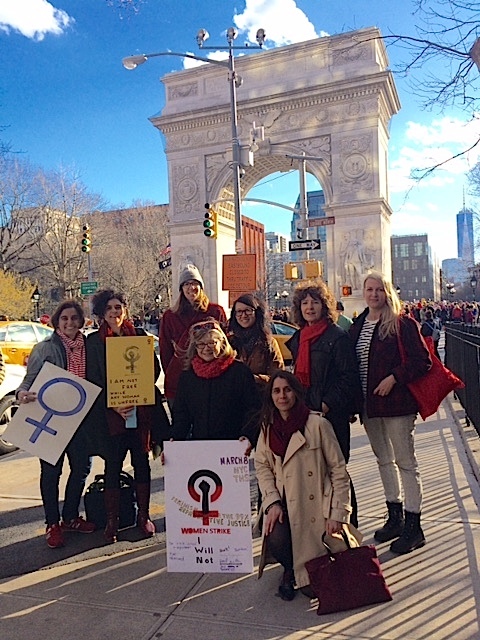 MA Design Studies alumna Mae Wiskin writes to us from her new venture, The Every Day Project, which started a #45to45 social media campaign to make 45 acts of change before Inauguration Day. Earlier this year I completed my masters in Design Studies from Parsons The New School of Design. Once I left school, I quickly found a position working in digital media. I was content in my new role until the shock of the presidential election hit, and like everyone else, I found myself questioning everything. Chief among them was what do we do now? Coming from a university that challenges its students to fight against the belief that the way the world works is the way the world must be, I found myself wondering how we ought to redesign our systems in order to move forward. 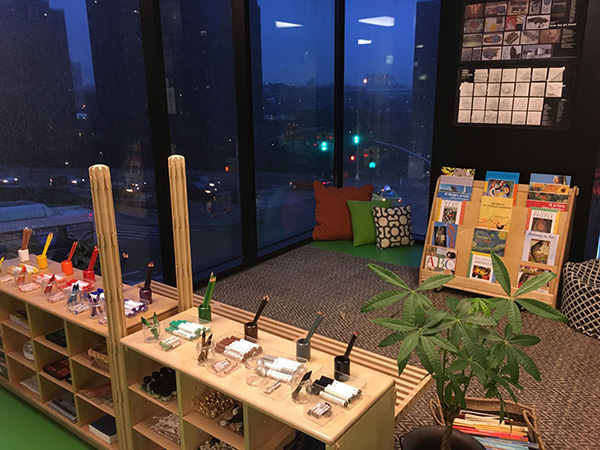 Interior of one of the classrooms in the Sugar Hill Museum Preschool. Photograph by Qionglu Lei. Current MA Design Studies student Claudia Marina is published in Issue 20 of The Avery Review, a project of Columbia Graduate School of Architecture, Planning and Preservation. Her paper, “Checking in: David Adjaye’s Sugar Hill Project, Two Years Later,” is the result of a research project that began at the beginning of 2016 in Jilly Traganou’s “Research and Methods” course. The paper investigates the Sugar Hill Project, a collaboration between developer Broadway Housing Communities and architect David Adjaye, two years into the building’s architectural afterlife. 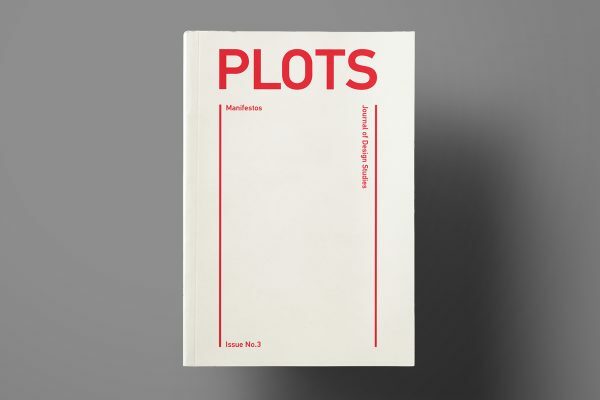 This month, the MA Design Studies program proudly launches the online companion to our print journal, Plot(s). 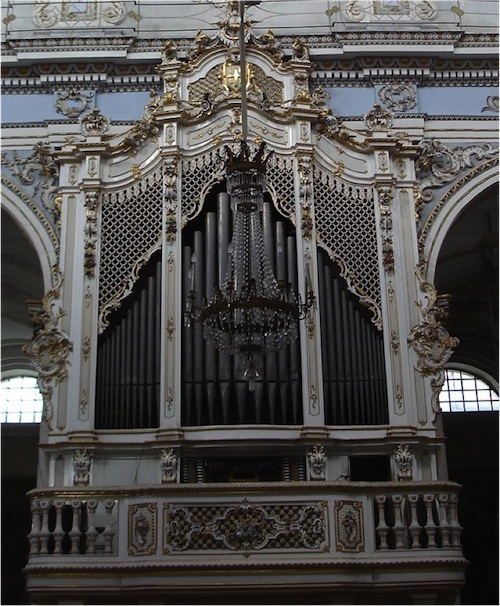 Volumes I, II, and III of the journal are now available to read and download on the website. 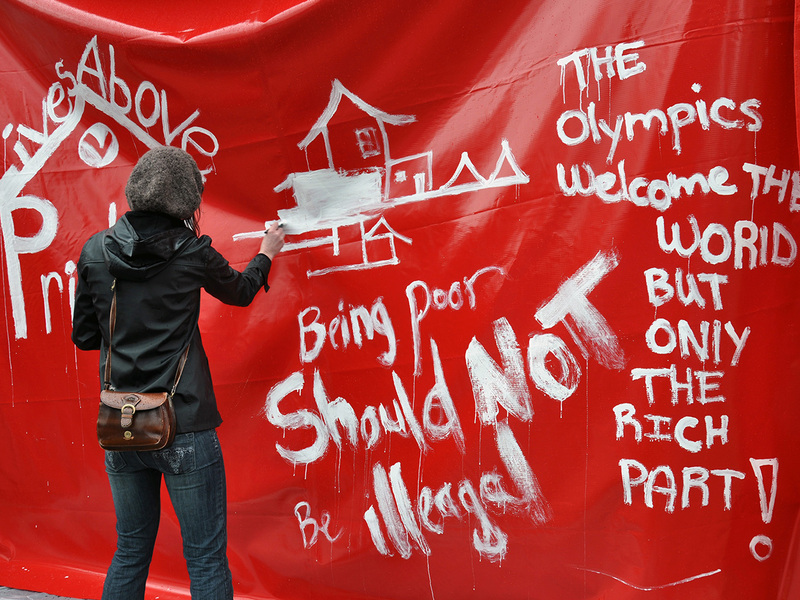 Red Tent Housing protest, LiveCity Downtown, Vancouver, February 10, 2010. Photo by Stephen Hui. 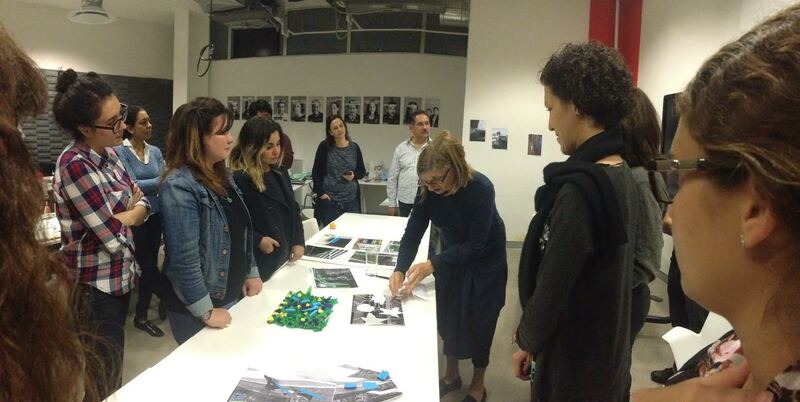 Associate Professor of Spatial Design Studies Jilly Traganou won the Design Incubation Communication Design Educators Award in the category of Scholarship for her research in the graphic design histories of the Olympics. 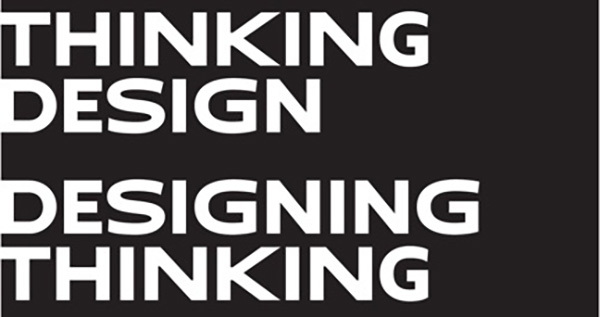 The material awarded came from her recent book Designing the Olympics: Representation, Participation, Contestation (Routledge, 2016)—specifically the chapters on graphic design, which deal with issues such as how the design program for the 1964 Tokyo Games helped shape Japan’s post-war identity, London 2012’s foray into making the public a part of the design process, and ways political groups appropriate official Olympic images as a form of dissent. On a recent evening, a cadre of foodies crowded into a residential loft in Bushwick, Brooklyn for a four-course farm-to-table feast. Having just gotten off the Myrtle Avenue M stop, though they probably didn’t expect to be this close to the farm. Instead of a table, the diners gathered around a communal feeding trough complete with a mini “pasture” and dined on salt licks, colostrum, hay, and grass. 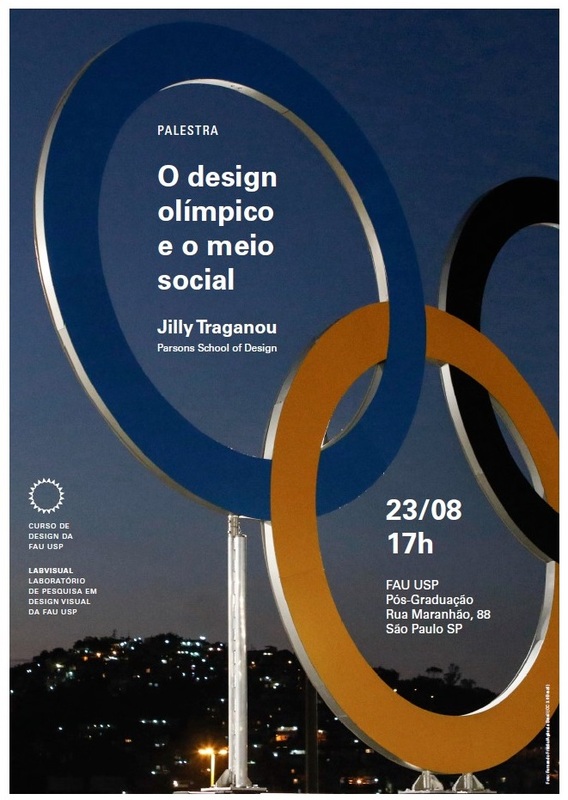 Jilly Traganou, Associate Professor of Spatial Design Studies, is giving a talk tomorrow, August 23rd, titled “O design olímpico e o meio (Olympic Design and the Social Environment)” at Curso de Design da FAU USP e LabVisual – Laboratório de Pesquisa em Design Visual da FAU USP in São Paulo. These presentations are only some of a myriad of activities Professor Traganou has been involved with as a part of her Fulbright fellowship, which she has undertaken in these past few historic weeks in Brazil as the Summer 2016 Olympics were taking place. 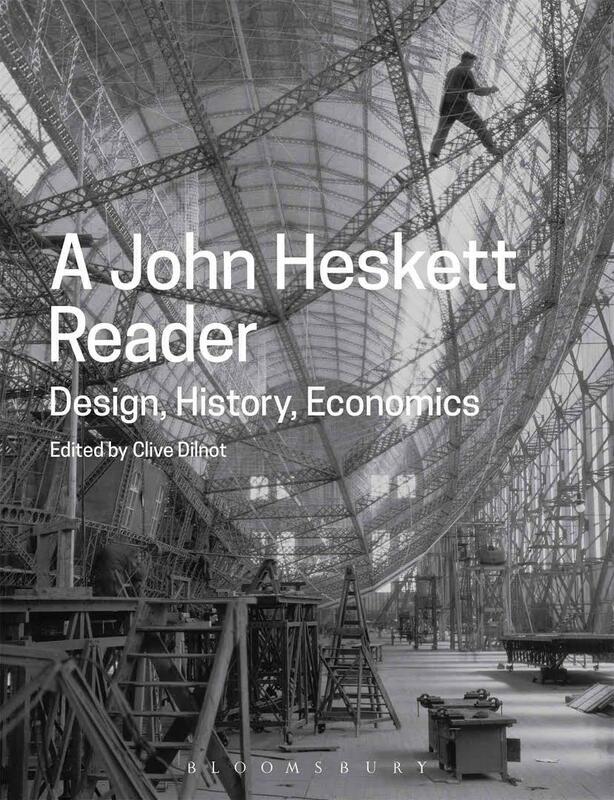 In July, my Parsons colleague, Clive Dilnot, will publish his edited volume A John Heskett Reader. Heskett, who died in 2014, was a remarkable thinker who brought design to life for diverse audiences through his engaging prose. Indeed, Heskett helped bring the field of design history and design criticism to life through his numerous books that covered topics from industrial design to German design to corporate design. He was, as many of us have grown to appreciate, unwilling to simply embrace design as a formal practice. Heskett was committed to social and historical context and the essays in Dilnot’s text speak to Heskett’s larger oeuvre. Susan Yelavich, Associate Professor and Director of the MA Design Studies program, returns this fall after a year-long sabbatical. 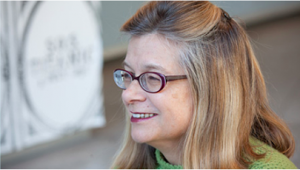 We catch up with Professor Yelavich as she pauses in writing her new book, Reading Design, and looks toward some exciting developments for the new academic year. 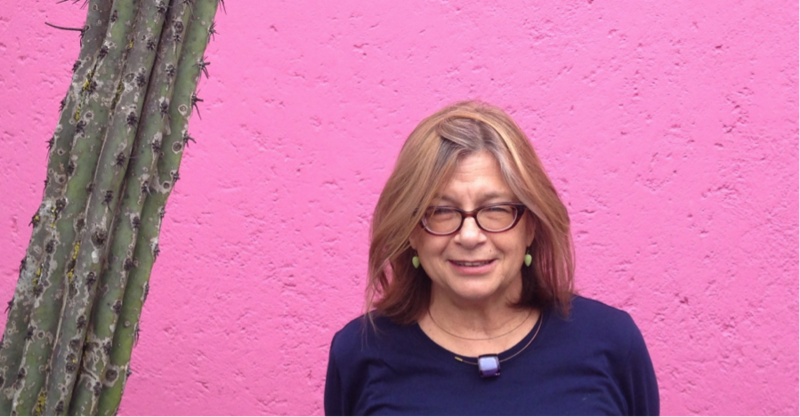 Design Studies Professor Susan Yelavich visited Mexico for the first time in 2015. Since then, when she lectured at Centro, she has been fortunate enough to have made many good friends. In part this led to the request for the interview featured here which explores questions about design’s role in social responsibilities and in shaping the future. How often do you see Riker’s? For most in New York City, unless you or your loved have worked or lived on the island, the answer is not often. Daily life for inmates and correctional officers is defined by the island, wedged between The Bronx and Queens on the East River, but the city’s Metropolitan Transit Authority has a tricky history with labeling the island, which is home to a notorious prison complex, on its subway maps. In most underground stations, it is labeled but without means of getting there, and Riker’s is altogether forgotten inside subway car versions of the map. The Q100 bus line, which takes New Yorkers from Long Island City to Riker’s Island, exists almost as a myth. 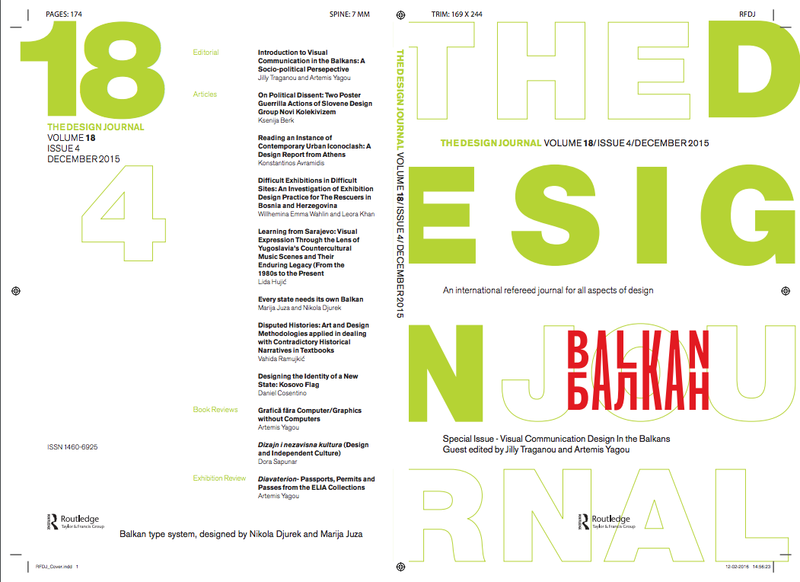 Jilly Traganou, Associate Professor in Spatial Design, recently co-edited a special issue of The Design Journal: An International Journal for All Aspects of Design entitled “Visual Communication Design in the Balkans.” The edition, which was released on April 6th, explores the role of visual communication in numerous aspects of life in the Balkans, from economic conditions to countercultural music scenes to historical textbooks. This weekly film screening event is to introduce The MENA Working Group, an informal network of graduate students and faculty members working at The New School (NSSR, Parsons, Milano) and concentrating their research on the Middle East and North Africa (MENA), broadly construed. Launched in October 2015, the Working Group organizes a graduate student conference on April 22nd and hopes to serve the needs and interests of graduate students at TNS. 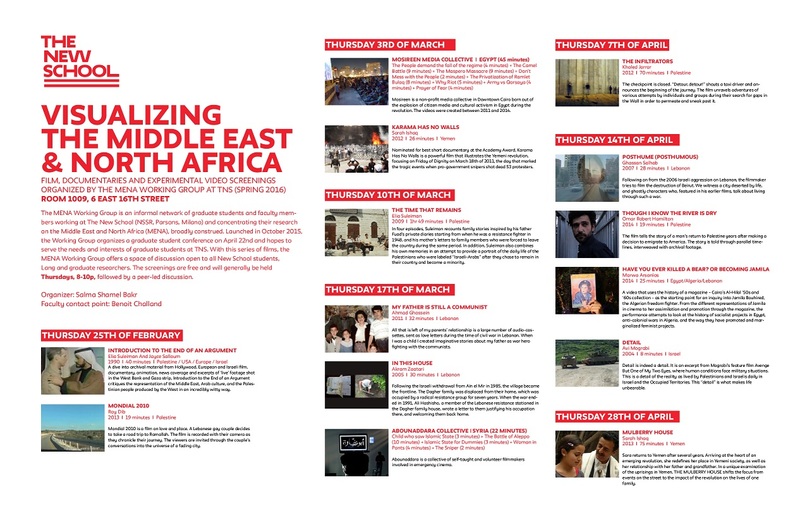 With this series of films, the MENA Working Group offers a space of discussion open to all New School students, Lang and graduate researchers. The screenings are free and will generally be held Thursdays, 8-10p, followed by a peer-led discussion. Melissa Wiskin, Design Studies ’16, completed a stint in the Peace Corps in Zambia, where she learned about the power of mobile technology to dispense health care. 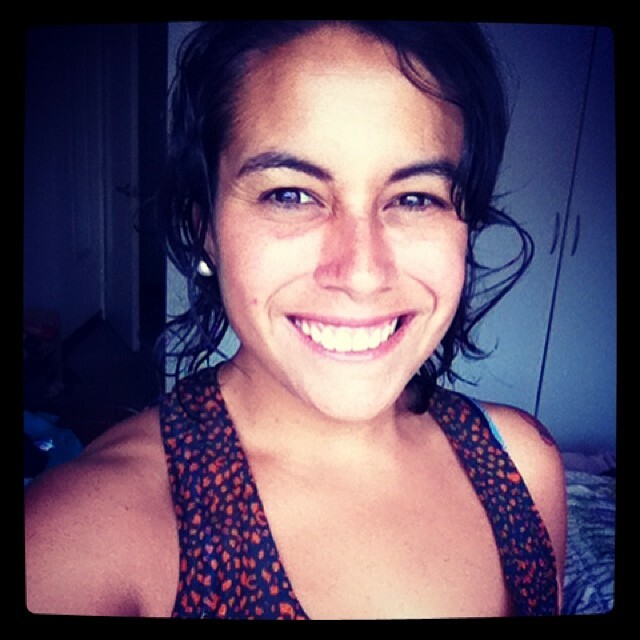 Associate Professor of Spatial Design Studies, Jilly Traganou, has a productive February ahead of her. 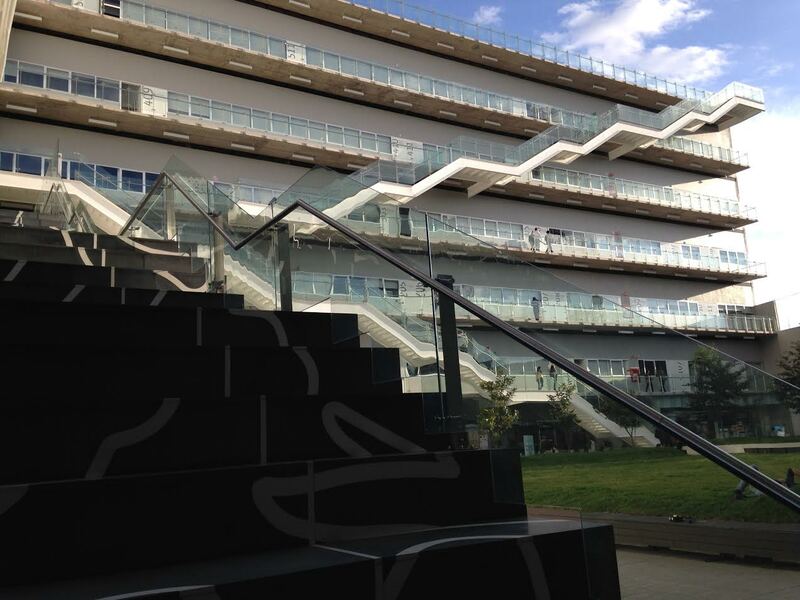 Last fall, from October 28th to November 1st, I had the good fortune to be a guest of Centro, Mexico City’s premiere design school. During my stay, I gave a lecture to 200 members of the school and its design community in which I explored the ways design can hinder or enhance leisure, depending on the degree of control and serendipity it offers. I also conducted a more intimate workshop where graduate students proposed schemes for sites of ad hoc leisure within the highly-composed and elegant architecture of their recently built campus, designed by Enrique Norten e Ten Arquitectos. The Centro building designed in 2015 by Enrique Norten e Ten Arquitectos (courtesy of Centro). During my time (my first time) in Mexico City, Centro’s director of academic affairs Gabriela Traverso made generous arrangements for me to visit their city’s major cultural sites, from Casa Luis Barragán to the Frida Kahlo Museum to the world-renowned National Museum of Anthropology. I’ve rarely been so warmly welcomed as I was at Centro, and I’m forever grateful to Centro’s director Kerstin Scheuch and her dedicated faculty. Among all the events and trips they planned, they also arranged for me to speak with Janine Porras of the design magazine Glocal. What follows is the interview Janine conducted in which I discuss design as an agent of dignity. Susan leads her graduate student workshop: Configuring Spaces of Leisure (courtesy of Centro). On Monday, August 24th, 64 incoming graduate students gathered in the Kellen Auditorium to make up the School of Art and Design History and Theory’s incoming class of 2017. ADHT is the home to 29 new students in Fashion Studies (FS), 10 in Design Studies (DS) and 26 in The History of Design and Curatorial Studies (HDCS). These programs’ incoming students will join 70 of their classmates in their final year— and joining them in the rigor of this year’s curriculum and undertakings. Bolstering the substantial work from within these programs, is ADHT’s exceptional lineup of events this semester. For one such upcoming event on September 8th, DS and The Japan Foundation will host Japanese Design Today: Unique, Evolving, Borderless with professor, Hiroshi Kashiwagi and architect / designer, Yoshifumi Nakamura, to discuss the evolution of contemporary Japanese design. ADHT will also be hosting two events partnered with the American Academy in Rome, among others. 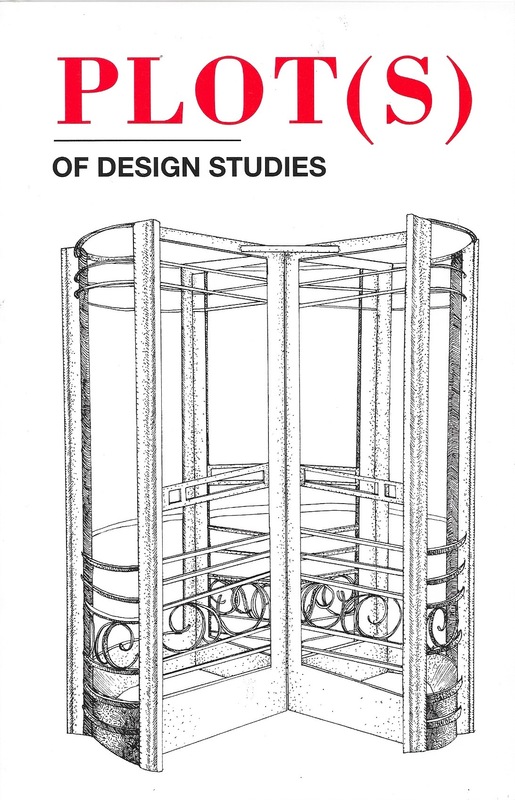 So, Design Studies… You are probably asking yourselves what is Design studies. Well…I don’t have an easy, straightforward answer to this question. However, this is what I can tell you after two years of studying design. Think about the fork you used to eat yesterday’s lunch. Yes, the fork. Just …go with it. Think about how its shape and size fit perfectly in your mouth and hand—so perfectly that you almost did not pay attention to it until I asked you to think about it. Now think about how this shape and size determines the amount of food you eat in every bite, hence how you eat and how meals occur. Now think about the materials and the process in which this fork was produced. Was it part of an assembly line that involved a system of mass production and distribution, and in that sense, considers labor and environmental issues? Or is it the outcome of a relation that evolved over time between an individual or a community with a material and a craft? All of these processes and the status they have in the market are also design studies. Think about chopsticks and how both forks and chopsticks are elements of cultural practices that keep changing and redefining themselves. Think about how these items can easily be linked to national narratives and to collective identities as symbols. And how they can help sediment or challenge given power relations. That…. is… also design studies. 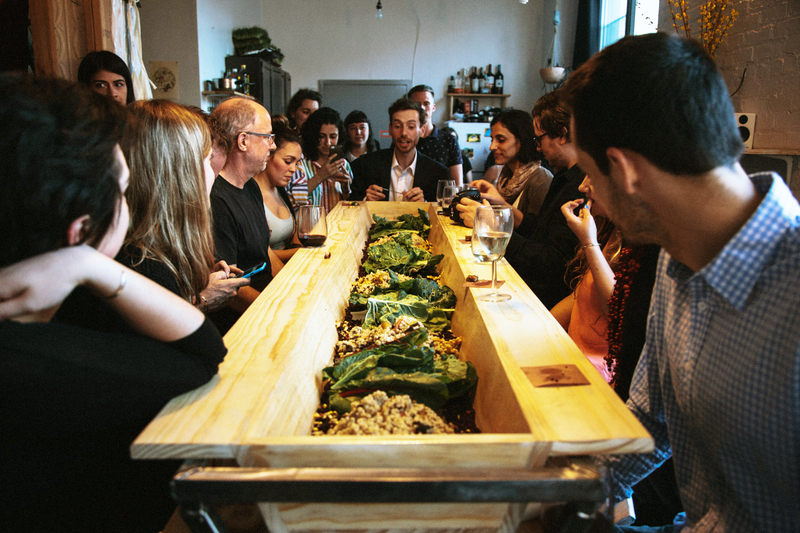 Think also of the designer who, via the fork, expressed her ideas regarding who we are and how we should eat. Also think about the person that purchases this fork (and probably the spoon and knife, I mean the whole set). Think, too, how this act of consumption allowed her to define her identity: to express some sense of uniqueness. And think about the trucks, the stores, the freezers and the vegetable stands that feed the fork, and the people who use it. Guess what… that is also design studies. Finally…forget the fork and think about streets, buildings and cities. 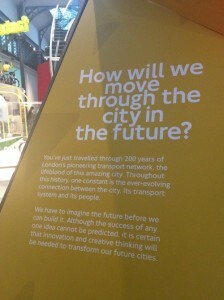 Think about services and infrastructures; think about technologies and games. All that I brought up about the fork applies to any design, any thing, That a thing is more than a thing. 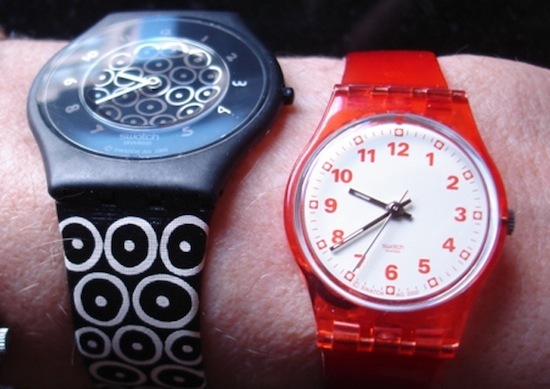 Think of design as systems or assemblages that change over time. That these systems and the nodes that make up the systems never act alone; that they are always part of bigger networks that include other objects and humans. Think now about all the possible assemblages that have not yet been designed; think about what design could be. That is also design studies. 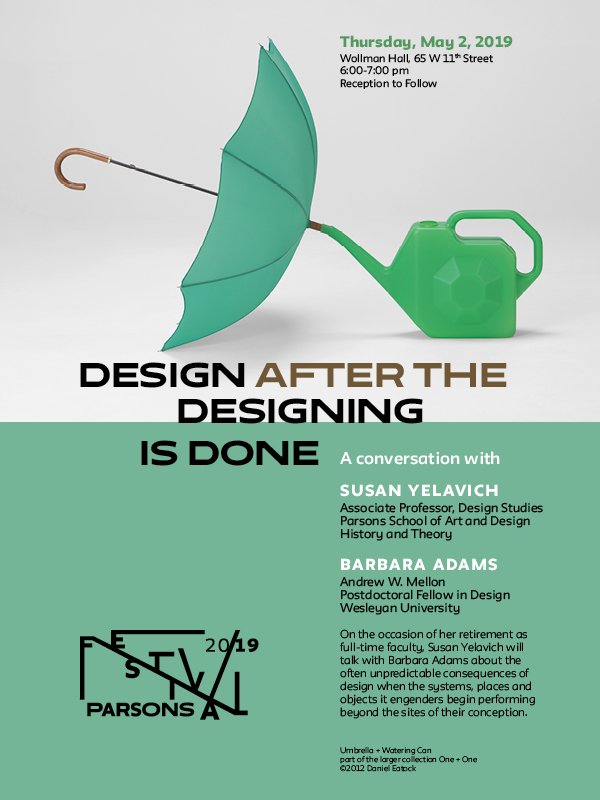 On behalf of my classmates I want to thank Jilly, Susan, Clive and Barbara for helping us carry forward this two-year conversation about design. To all our teachers: thank you for joining this conversation. To our fellow students in our program and other programs: thank you for helping us to keep the conversation going beyond classes. I personally want to thank Jilly, Susan and Clive for the long conversations and the many times I left their offices even more confused that when I got there; because confusion is an obligatory step in the way to understanding. I want to thank Michelle and Ethan for the opportunity they gave me to teach. It was challenging, terrifying and ultimately incredibly rewarding. I also want to thank my family and friends for supporting me in so many different ways. And last but not the least, I want to thank my classmates and now friends because you made it possible and you made it fun. Thank you and Congratulation to you all! 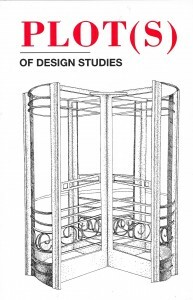 The Design Studies Classes of 2015 and 2016 are pleased to announce the publication of the second issue of Plot(s), a peer reviewed, student-edited and produced journal exploring the plurality of design studies. On April 24th, Susan Yelavich joined colleagues at RISD and Brown University at a symposium organized by Damian White (History, Philosophy + The Social Sciences, RISD) and Ian Gonsher (Engineering, Brown Universitiy) on “Critical Design/Critical Futures.” Through a series of panels and workshops, as well as an online publication, the event explored critical design, design activism, and design-led social innovation. 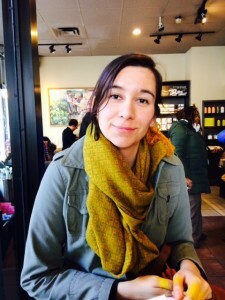 Yelavich presented her research on literature as an untapped mode of design research and study. The School of ADHT is proud to announce that this past March, Jilly Traganou received a Design History Society grant in support of her book publication Designing the Olympics. Designing the Olympics looks at the “Olympic Design Milieu” to ask questions on the relations of design with national identity and citizenship. The book is based on an understanding of Olympic design from 1896 to our days, and focuses on the period from post-WWII to the present. 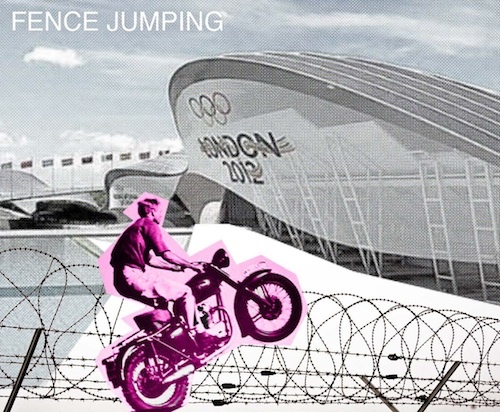 It looks at Olympic design in different geographical and political contexts: the graphic design program for Tokyo 1964, spatial planning for Athens 2004, brand design for London 2012, and a broader analysis of material practice of Olympic dissent in the context of the Mexico 1968, Vancouver 2010, and London 2012 Olympics. For Traganou, the Olympics is an important nexus where material culture becomes a vehicle for the development of new national values and forms of citizenship. 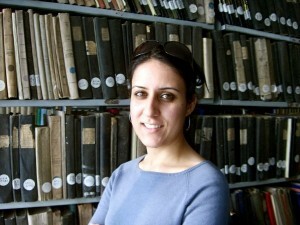 Using primary research material collected in archives (Olympic Museums of Lausanne, Tokyo and Sarajevo, online databases of newspapers and other institutions), and through interviews with designers and other Olympic constituents, she hopes to use the grant for the compilation of the book’s index. 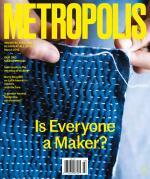 The New York-based architecture and design magazine, Metropolis (metropolismag.com), covers the full spectrum of design with a critical perspective and a long standing tradition of highlighting the potential of design with the arenas of politics, culture, social justice, and sustainability. 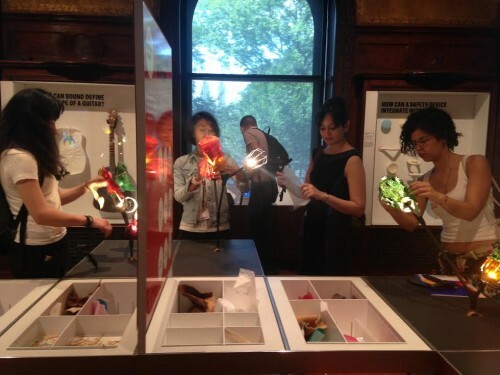 Parsons MA Design Studies program has been fortunate to place several interns over the past everal years: Dora Sapunar, Class of ’14; Komal Sharma, Class of 15′; and Estefania Acostica, Class of 16′. EAch of them share their experiences below. Internships are important opportunities encouraged by the Design Studies program for the ways in which they enable students to transfer the knowledge gained within an academic setting to a workplace environment. Metropolis offers an ideal complement to the Design Studies program’s critical interdisciplinary approach to the consequences and possibilities of design. 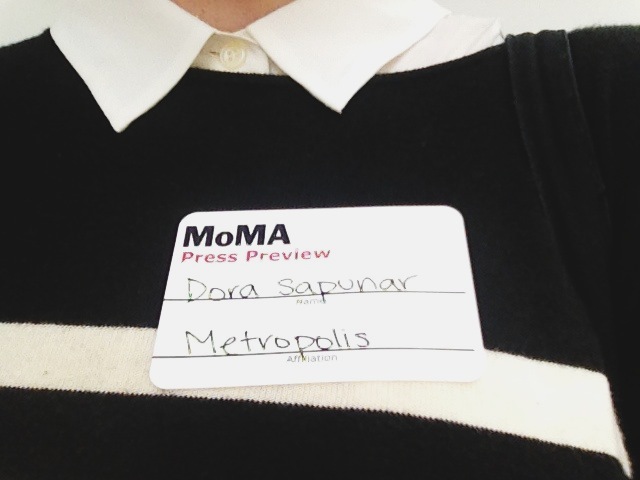 I interned at Metropolis in the summer of 2013. The internship included doing research for magazine features, attending events and exhibitions—from the Le Corbusier exhibition at the MoMA to the FitCity Conference at the AIA Center for Architecture—as well as writing blog posts on any and all topics that I was interested in. My favorite projects included helping with research on gender inequality in architecture for the infographics supporting Alexandra Lange’s article Architecture’s Lean In Moment (http://www.metropolismag.com/July-August-2013/Architectures-Lean-In-Moment/) and writing about James Turrell’s sublime exhibition at the Guggenheim (http://www.metropolismag.com/Point-of-View/July-2013/The-Temple-of-Spirit/). 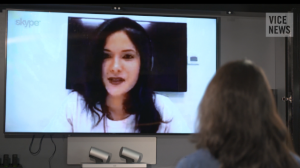 Working with Metropolis editors was a great learning experience (not to mention very fun!) and I’m still always excited to contribute to the magazine. The few months I spent at Metropolis magazine was a great learning experience. It offered a terrific opportunity to learn how to write clearly and quickly. The experience helped me to be connected with what’s happening in the city, and there’s always a lot happening. I was able to go to exhibitions, write about them, interview designers. The Contemporary International Furniture Fair (ICFF) and New York Design week happened during my time at the magazine, and I was able to attend those events, meet people, and write. At Metropolis, it’s really about how much can you do, how much do you want to do. The team–Paul Makovsky, Avinash Rajagopal, Shannon Sharpe, and Samuel Medina–are fantastic and always happy to guide you. Even after my internship ended, I have continued to ask them for freelance work, and they’ve always responded with opportunities. 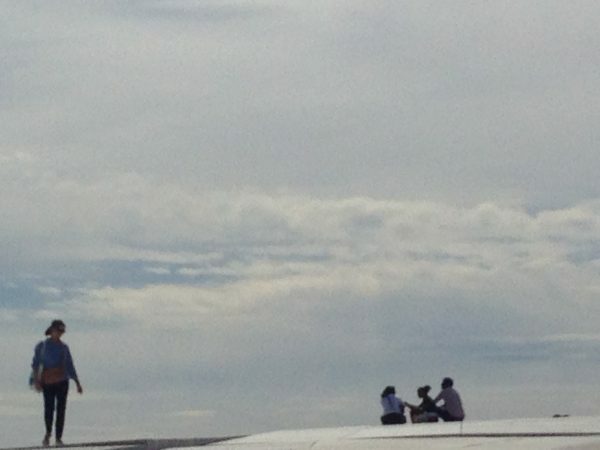 The day I was leaving, I was moved by their friendship. They surprised me with a cake! The office of Metropolis magazine houses a surprisingly small team. The office environment consists of shelves full of magazines and books and mountains of papers. 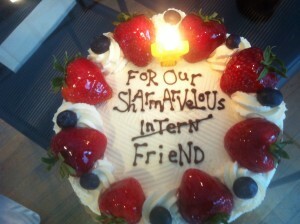 I’ve been an intern in the editorial department for about a month, now. Thankfully, the majority of the work is researching and writing. When that’s not the case, it’s usually because there’s an interview that needs to be transcribed. It takes a lot of time, but I enjoy it—the last one I did was with an association that promotes unknown female architects. Before that, I listened to a very passionate conversation with the head of a company that designs toilets. The opportunities to learn, needless to say, are plentiful. 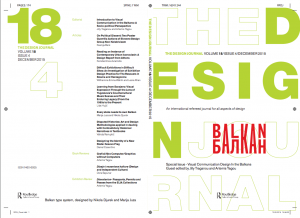 The magazine itself is a great source of information for designers and architects. Being able to contribute to the content is a great experience in making thing concise and learning to let your writing go. Editing is important, but I’ve only recently learned when to stop—the deadline. At the Design Studies Symposium at Parsons The New School for Design the two speakers invited on the first day were: Peter Hall, design writer and professor at Griffith University, Queensland, who flew down from warm and sunny Brisbane into freezing New York, while the keynote speaker was essayist, critic and professor at Columbia University, Phillip Lopate, best known for his writings on New York. 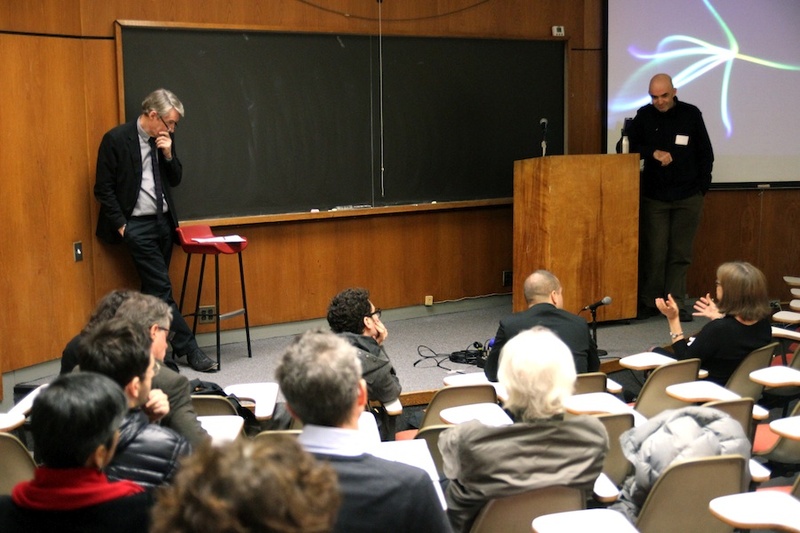 After Susan Yelavich, director of the MA Design Studies program, introduced the themes that would be addressed in the course of the two days—design and narratives of gender, agency, social engagement, artifice among others—Hall took the stage and addressed his topic, Narratives of History. A gripping argument about an alternative approach to writing design history followed. With the risk of sounding simplistic, in a nutshell, Hall questioned the inclination of history-writing to be too canonical. “You can’t learn about the mountain range by studying the peaks, and who decides which peaks to study?” asked Hall. 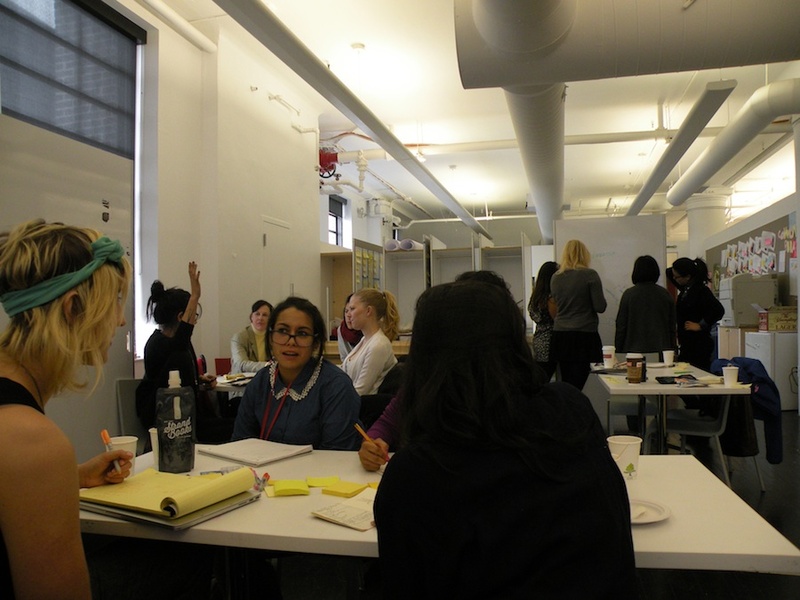 Hello and welcome to the Design Studies Symposium at Parsons the New School for Design. This post is to give you a glimpse of what goes on in these two days, as guests speakers come in and we address various threads that run through this vast fabric that has come to mean design, and we’ll find out how they are being reinterpreted. The symposium began today afternoon. 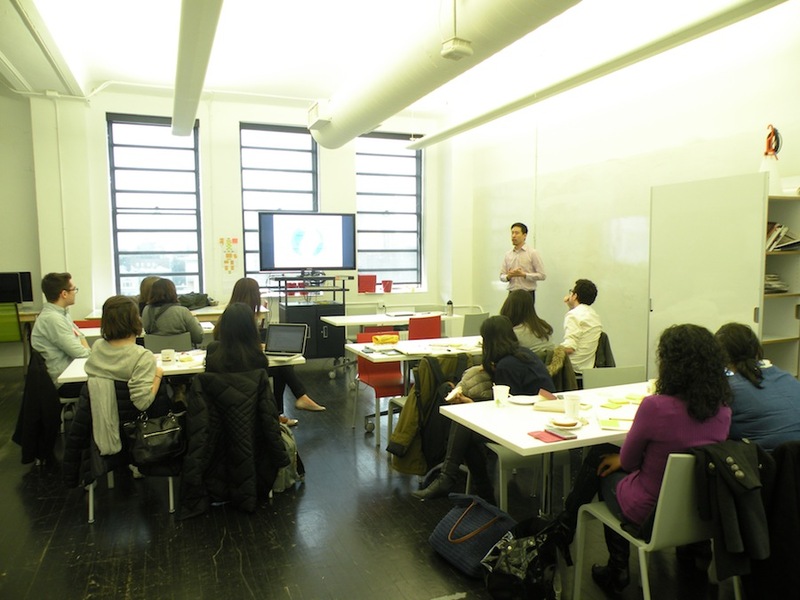 As a build up to it, the students of the MA Design Studies and Transdisciplinary Design program had an intimate workshop with about 20 students to talk about “Storytelling for Social Change.” It was led by Lee-Sean Huang of Foossa, a company of designers, storytellers and problem solvers, as they call themselves. Foossa essentially partners with individuals and organizations to create campaigns that have a significant participative character. In the three-hour session, Lee-Sean took us through the thought process that goes into the making of a social campaign. The presentation, dotted with case studies—some interesting, some banal, some endearing— was fast-paced, packed with content and interspersed with workshop time. We worked in groups as well as individually, sometimes graphically mapping ideas elaborately and other times haiku-condensing them. Identity — who am I? Protocols — what do we believe in? 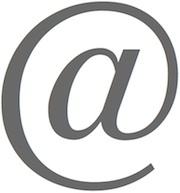 Artifacts — the objects, interfaces, gestures. The task at hand was to visualize and map these three elements in a way that portrays how narratives flow within and around them. 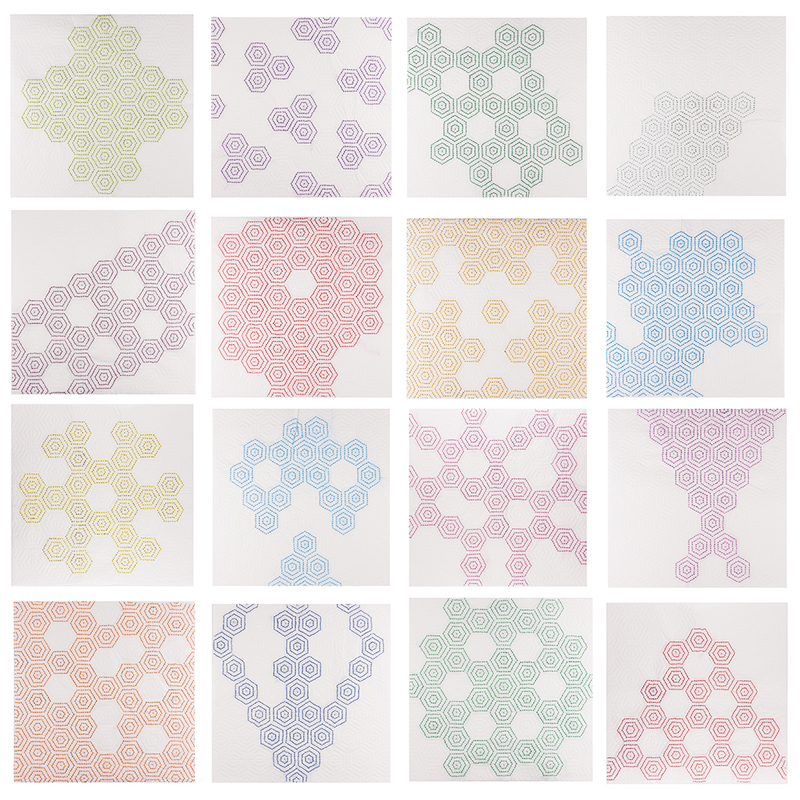 While Lee-Sean visualized the three elements as three bubbles set in a linear fashion, the students’ visualizations took on many complex shapes and outlines. There was a pyramid-shaped model that might have seemed hierarchical but for the ocean-current resembling arrows that ran across them, showing the interdependence and a fluid nature of a narrative strategy. Another group did a tree-shaped model, and another did a color-coded radial model resembling the structure of an atom at microscopic level. Another group broke away from this method of conceptual mapping and articulated their thoughts via a real world situation and application. The exercise was certainly fun, proactive and reflective of how we process the information around us and consequently approach design. We moved on to addressing a problematic area of social campaigns, that they can sometimes be absolutely tone-deaf. A dated but perfect example was the Sally Struther’s campaign for Christian Children’s Fund, advocating for impoverished children in Africa. However well intentioned, a lot of socially inclined communication turns out cringe-worthy. In contrast to that, we watched the hilarious and provocative Raid-aid campaign, where the “tables are turned” and Africa is singing in a very “We Are the World” style to help the people of Norway to get through their subzero temperatures. Towards the end, we saw the must-watch Save The Children campaign on how war affects children. It starkly illustrated the change in impact the change in tone of communication can cause. In the midst of fleshing out the idea of storytelling as a way to approach design, another problematic area emerged. It seems that in some cases, design boils down to research, to knowledge of the context, to the story that’s being told. Yet stories as a method of collecting information can be limiting. “Any story is only a partial glimpse of a bigger whole,” as one of the students put it, “and the ability of a story to create a perception can sometimes be helpful and other times tie us down.” The solution to this limiting-nature of a storytelling approach did not come immediately, but emerged in the course of time and conversation: “It does not have to be absolute knowledge, but a story that makes sense to the people who are involved,” said Lee-Sean rather unselfconsciously. There was a sense of agreement to this among students, as that would lend some semblance of credibility to a social campaign, or any design for that matter. Also, we may never get the whole view, but a human view would be a good place to start. 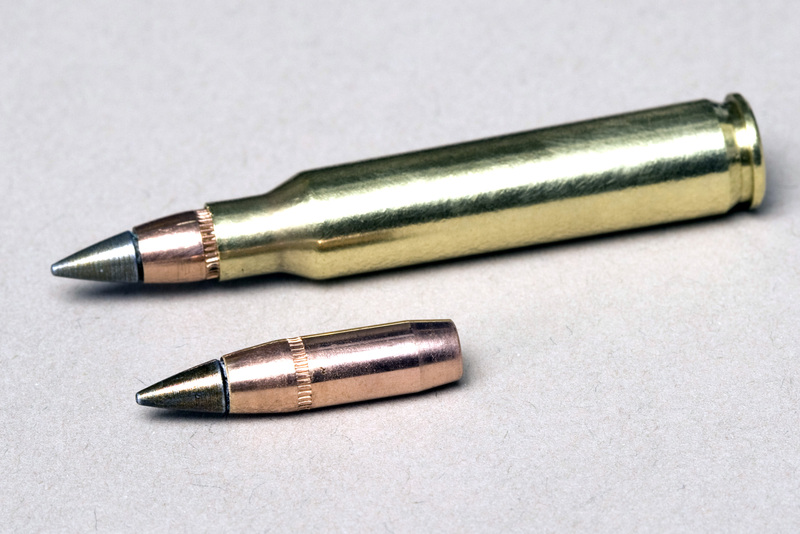 For the past three months, the Museum of Modern Art has been running an online exhibition titled Design and Violence that has now culminated in an interesting, layered, often controversial discussion about, well, design and violence. 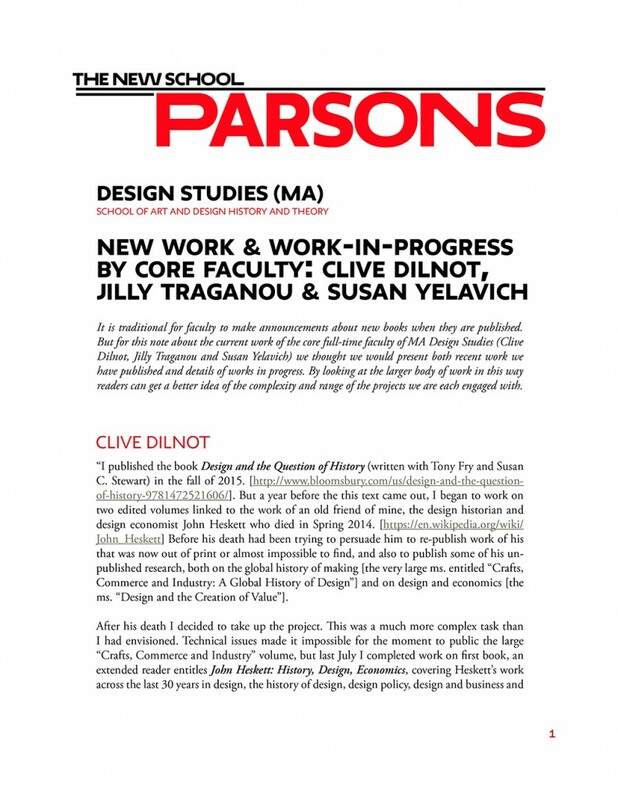 Adding to the on-going thread is the latest post by Parsons professor Clive Dilnot. Dilnot writes about Green Bullets, a design developed by the US Army that replaces the lead core of the bullet with copper. While he addresses the dark humor behind an object that is designed to infiltrate and destroy a living body, even if without contaminating the environment, his article raises controversial questions about the very language used to talk about design. While the title of MOMA’s exhibition goes as ‘Design and Violence,’ Dilnot challenges the separation that the conjunction ‘and’ suggests. “..design as violence, violence by and through design. There is no “and,” he writes. Our inaugural symposium, Negotiating the Terrain of Design Studies, was postponed by the storm. It has been rescheduled for Friday, March 1, and Saturday, March 2. We look forward to welcoming speakers Alison Clarke, Victor Margolin, Jürgen Häusler, Hugh Dubberly, and Peter-Paul Verbeek. One of the four core areas of inquiry of the MA in Design Studies program has to do with how we ‘speak’ of design. And since design speech includes video and film along with the written word, we’ve started a virtual Film Club. This is the first of several posts featuring films where design plays a leading role. 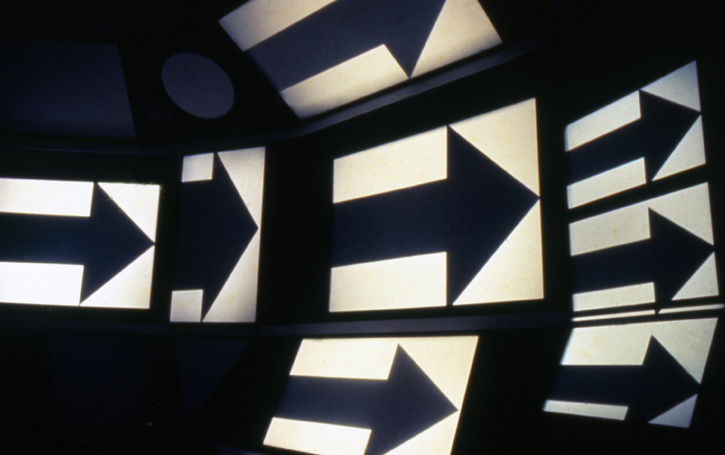 The medium of film engages design in a number of ways—as critique of the built environment, as documentation of design processes and affects, and as commentary on the ways we design our daily lives, project our hopes, and fabricate our fantasies. 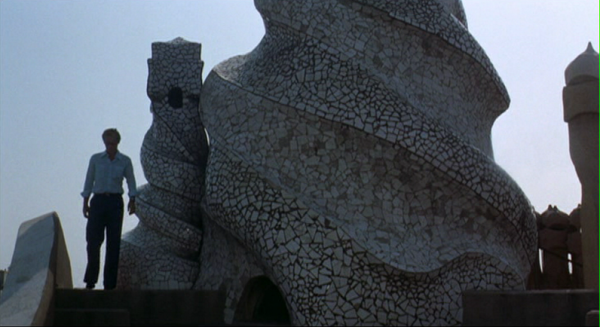 Costumes, buildings, and interiors an act as protagonists and provide settings that are central to film plots. From the opening graphics of a James Bond movie to Audrey Hepburn’s wardrobe to the experimental shorts of Charles and Ray Eames—the cinematic can tell us something about the power of design. 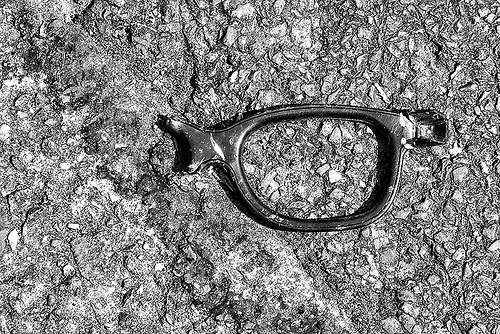 Walter Benjamin in his work of art essay endows both design and film with the capacity to inspire agency. We agree and believe the cultural form of film offers a lens through which we can critically and pleasurably consider design on a variety of registers including the aesthetic, the historical, the political, the social, the global, and the imaginative. London 2012: Space of Dissent / Space of Control was the title of a workshop I conducted at the Royal College of Art last week (February 2-9). Participants included students of the RCA/V&A Design History and RCA Product Design programs, who worked in mixed teams. Students worked in teams to explore London Olympics as terrain of contestation, in which actors of control and actors of dissent compete for their impact to the city during and after the Olympic Games. The workshop asked questions of the following nature: Who are the institutional or individual actors who participate in the creation of these two realms, and what are their values? How does design (objects, systems, services, spaces) express their wills and articulates their acts? What can design do for advancing certain positions that facilitate, balance or polarize the differences between these two realms? What kinds of new objects, systems, services and environments can we envision in response to the various stakeholders’ needs and desires? What are the values that these new designs promote? Design Studies director Susan Yelavich was recently interviewed by Insights, the magazine of the School of Art and Design History and Theory at Parsons. I can imagine students who will be issue-driven, students who are driven by attraction to a particular design discipline, and students who want to explore design in relation to other disciplines altogether. Those who are concerned about issues (which could range from sustainability to food systems to education) will want to explore the role that design plays within those realms. For example, they might study how cultural conceptions of nature over time have led to the precarious state of the environment and are still affecting efforts to design more sustainably today. Keep reading for more from the interview. Recently a colleague asked me if I could describe the ideal candidate for a Masters in Design Studies. The easy answer would be that there is no ideal student, no more than there is one true ideal of any stripe. But that’s far too facile. In fact, there are several ideal student profiles we can imagine and several more we can’t presume to know—that is, until we meet you. Of all the questions that you might bring to a new Masters Program in Design Studies, this might be the most urgent: What will this program prepare me to do? What kind of paths will it open up? I could argue, and have in the past, that correlating education with jobs is a risky equation since it devalues the intrinsic rewards of learning. But I suspect I’d be preaching to the choir and ignoring the more relevant question, which is: How will an MA in Design Studies help me design my life?